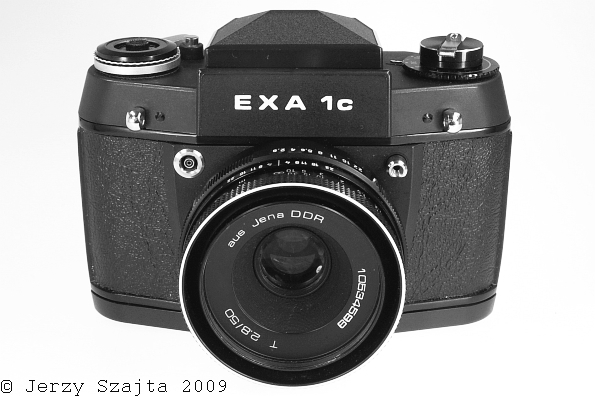 Camera's for lens mount M42 - Exa 1b and Exa 1c, 1977 to 1987. 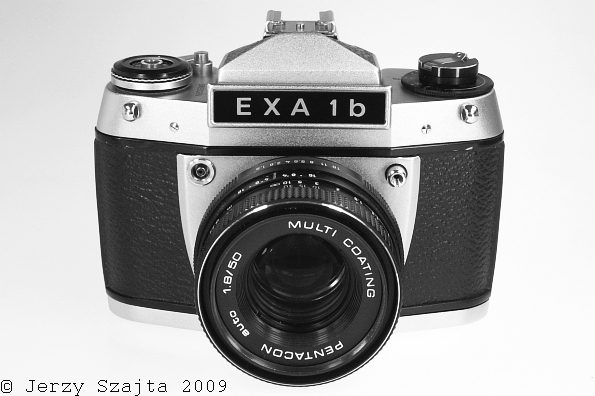 Exa 1b, v. 4.1, "front chromed, named DRESDEN". Manufactured in Pentacon or Certo, June 1977 - June 1983. Numbers 600 065 - 816 226. Subversion v. 4.1.1, "Post Exa", camera for phone calls registration, numbers 749 373 - 807 617, very rare. 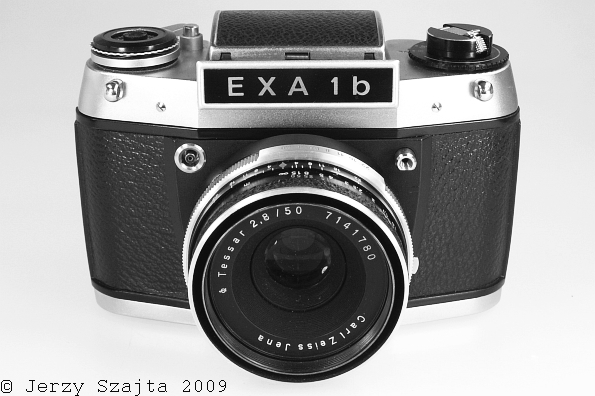 Exa 1b, v. 4.2.1/4.2.2, "Certo, black front". Manufactured July 1983 do August 1984. Numbers 817 685 - 830 916, Certo -C831 121 - C885 122. Also as "half-frame, police mugshot", v.4.2.2, numbers C835 770 - C836 950. 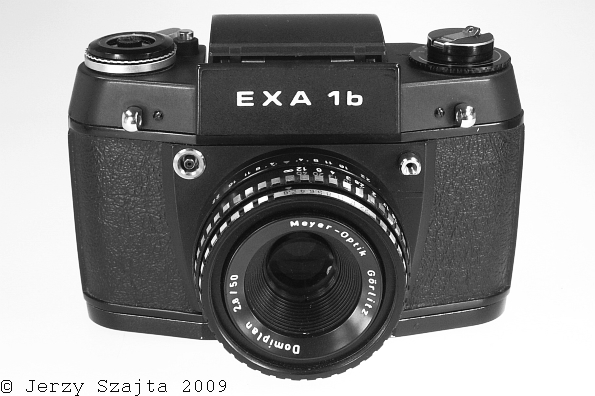 Exa 1b, v. 4.3, "Certo, plastic body". Manufactured September 1984 - May 1985. Numbers C880 397 - C886 253. Exa 1c, v. 4.4. Manufactured 1985 - 1987. Numbers C001 304 - C104 665. "EXAKTA - krótka historia doskonałości" !!! If you know serial numbers out of these range -please write to us !! !